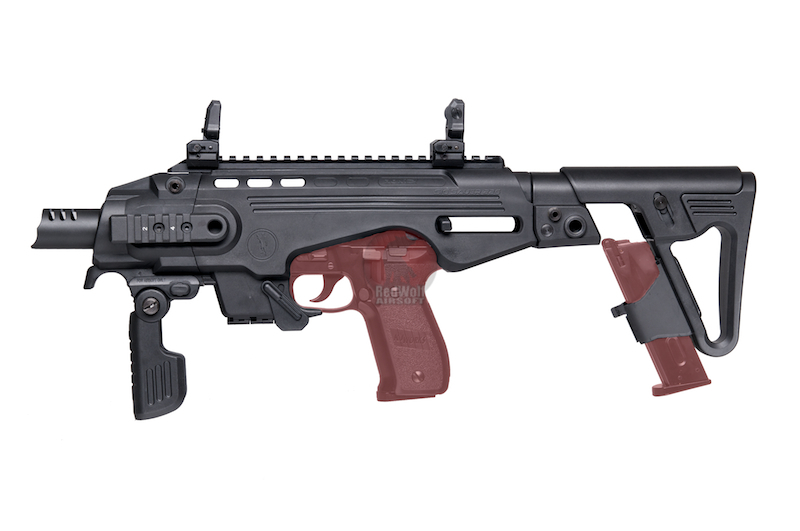 The RONI SI1 Pistol-Carbine Conversion is ergonomic designed and equipped with ambidextrous front and rear sling mounts, and large charging handle. 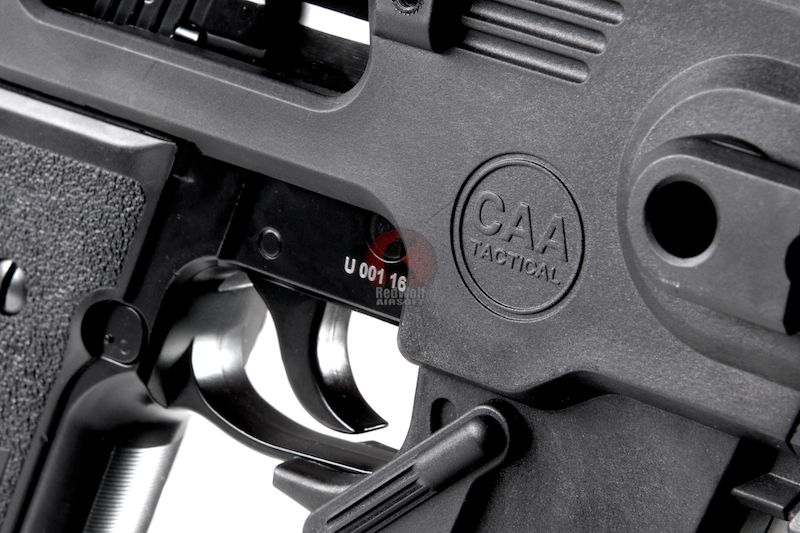 Charging the weapon is easy and it is user friendly to both left and right handed operators. 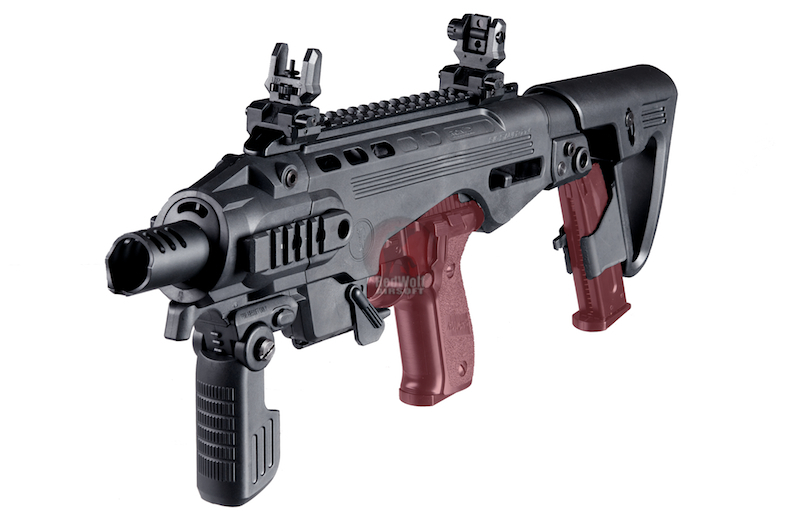 It is integrated with a CNC machined Aluminum top and 2 side rails for mounting accessories, and a Nylon Fiber lower rail to mount any forearm grip. 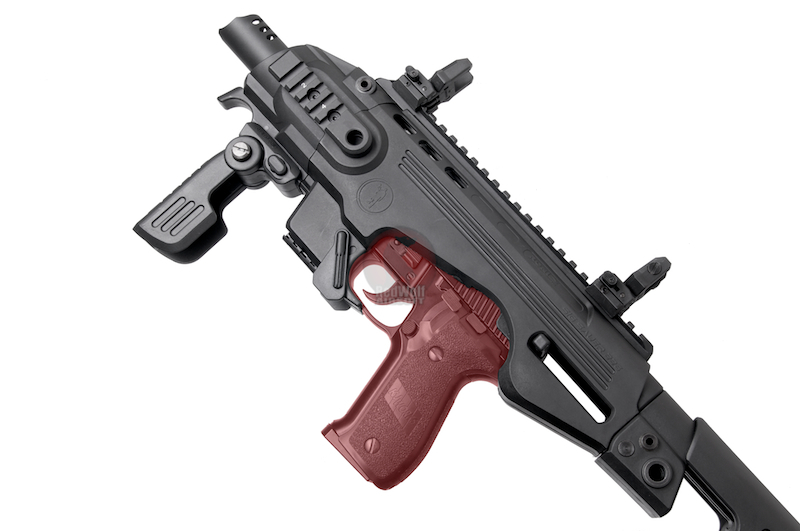 The RONI is equipped with an adjustable 5 position buttstock, and features a spare magazine holder for faster reloading. The adjustable cheek rest on the buttstock is removable. 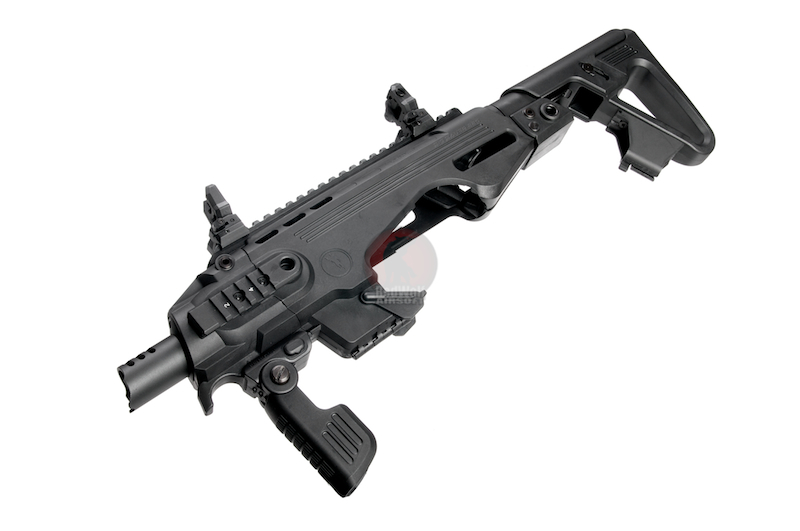 The RONI Pistol Carbine Conversion includes a pair of flip-up sights, a detachable folding forearm grip and a charging handle.